In 1917 the coastal city of Gaza was the heart of the main Turkish defensive position in southern Palestine. The Allies made three attempts to capture the Turkish stronghold and open the way for an advance on Jerusalem. 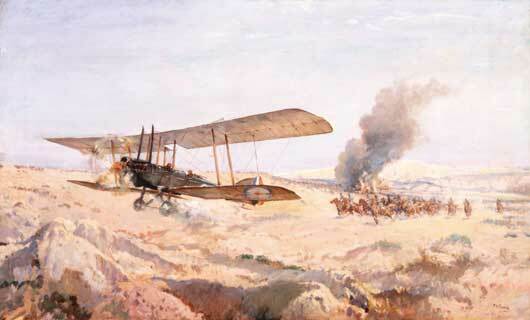 The first and second battles for Gaza (fought on 26 March and 19 April) proved costly defeats for the British forces, who could not find a way to break through the heavily-fortified Turkish defences along the Gaza-Beersheba line, which stretched some 50km inland from the Mediterranean coast. The first battle of Gaza took place on 26 March 1917. Two British infantry divisions were to attack it from the south while the mounted troops of the Desert Column would attack from the flanks and north. At first progress was slow in both operations, but, as sunset drew near the Australians entered the northern outskirts of the town and the British infantry captured the main heights at Ali Muntar, south-east of the town. The Turkish defences seemed to be crumbling, with many prisoners being taken. Lieutenant General Dobell, the British officer commanding the operation feared the water supplies vital for the mounted troops would not be captured that night, and ordered a withdrawal at dusk. The next morning, after realising his mistake, Dobell attempted to resume the battle with the infantry, but with the troops exhausted and the Turks having received reinforcements, the attack floundered. Three weeks later the Allied forces launched another attack but in the interim the Turks had extended and improved their defences. The frontal assault was supported by six tanks and gas shells but both were dismal failures and the attacking forces could make little headway against well-sited Turkish redoubts. After three days of fighting the attack was again called off. The third battle of Gaza was begun as a feint to divert enemy forces to Gaza. The garrison was bombarded for six days, and three divisions deployed, to fool the Turks into believing that another frontal attack was imminent. The real effort, however was to be made at Beersheba, the eastern extremity of the Turkish defensive line. Beersheba fell to the Australian Light Horse on 31 October 1917, allowing the British and Dominion forces to outflank and undermine the security of Gaza, which fell to the British on 7 November 1917 after little resistance. 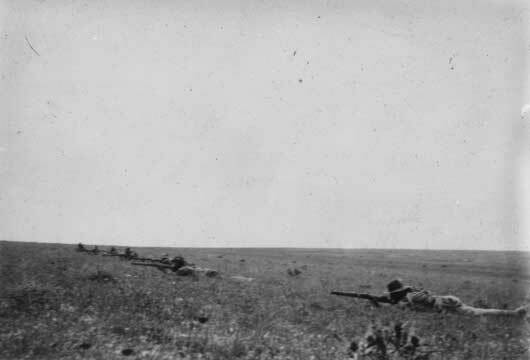 The firing line of 'B' Squadron, 9th Australian Light Horse Regiment, during the Second Battle of Gaza (AWM A00223). 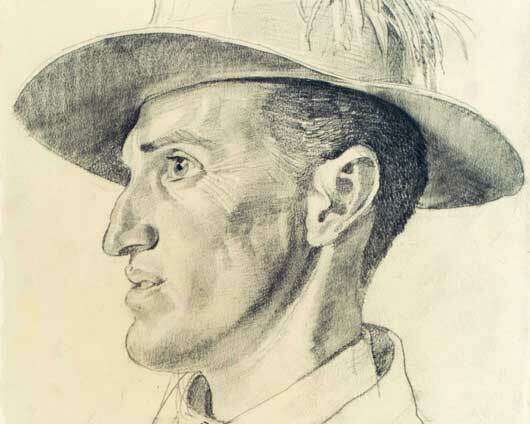 George Lambert's portrait entitled "Captain Hugo Throssell", a Victora Cross recipient of the 10th Australian Light Horse Regiment (AWM ART02797). H. Septimus Power, "The incident for which Lieutenant F.H. McNamara was awarded the VC" (AWM ART08007). 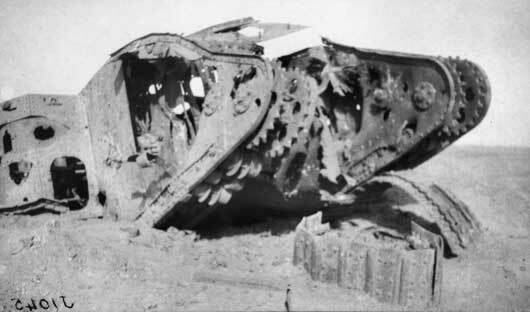 A burnt out tank that was lost to the Australians during the Second Battle of Gaza (AWM J01045). 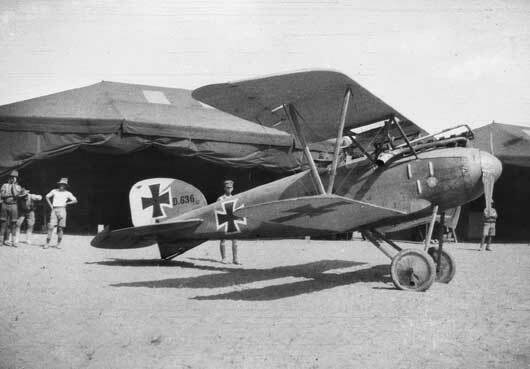 A German Air Force DIII Albatros Scout aircraft, shot down into AIF Light Horse lines near Beersheba (J02258).